Does your dog hide under the table as soon as he spots those instruments of torture (aka clippers) in your hand? And, even if you manage to grab hold of him, does he turn into a squirmer or a drama queen and make your job twice as hard? However, in spite of such difficulties, clipping dog nails is important. Here are two reasons why overly long dog nails are bad for your dog. When the dog’s toenails contact the hard sidewalk or your wooden floor, a long nail gets pushed up into the nail bed. This causes pressure on the toe joints or twisted toes and the toes become very sore and even arthritic. 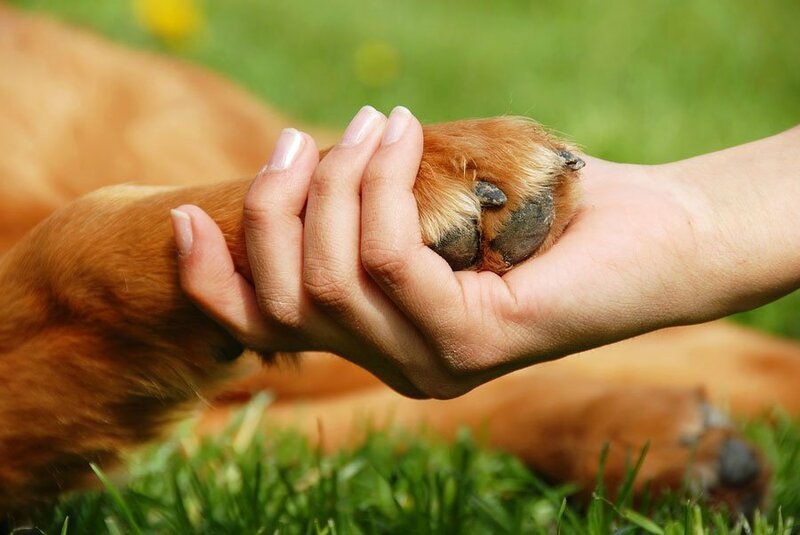 When the slightest touch on his paw causes pain, the dog will fuss when you pick up the paw to cut the nails. Over millennia, wild dogs wore their nails down by running long distances. They only felt their toenails touching the ground when going up a hill. So a modern dog’s brain is programmed by evolution to think that toenail contact means he’s climbing a hill. In order to ascend this imaginary hill, the dog adopts a compensatory body posture that brings the paws closer together under the body. This “goat-on-a rock” posture eventually leads to over-used muscles and joints, especially in the hind legs. This makes it difficult for the dog to jump in a car, climb stairs, get up from lying down, etc. What are Some Tips for Clipping my Dog’s Nails? Trim nails in good light – a well-lit room or outside. If you need glasses for reading, wear them for toenail clipping. Don’t squeeze the toes – it hurts! Hold the paw gently and use fingers to separate the toes. Remove excess toe hair with blunt-edged scissors. Cutting hair with clippers will dull the clippers. Use only scissor-type clippers. The guillotine kind can crush toes. Small clippers are best for control. Only the nails of Great Danes or Giant Schnauzers need large clippers. Sharpen or replace clippers regularly. Keep clipper blades almost parallel to the nail. Trim the nail to just above the level of the quick. If you do cut the quick, stop the bleeding with corn starch. If you “quick” your dog accidentally, provide a yummy treat immediately. Employ a Pedi-Paws type grinder to smooth out the trimmed nail. Turn nail trimming into quality time with your dog. Treats and kisses and a positive attitude can make a big difference. If your dog has no patience, try cutting just one nail a day until your dog becomes more accepting. Short toenails are critical to your dog’s health and soundness. Dog nails need to be clipped on a regular basis – every two to three weeks depending on your dog’s activity level. But, you can’t make an accurate toenail cut on a moving target, so seek help from your trainer or groomer if necessary. And, remember, no dog ever died from a “quicked” toenail. However, if your dog is ever involved in any kind of a situation which could be fateful, seek emergency treatment immediately. CVETS in Columbia, South Carolina is the place to go, if you live in the area.